Hey there! Hope everyone is settling into the changing seasons. I know I’ve been enjoying the return of long sleeves to my wardrobe, and I have a fun new hoodie I just love. I’ve also ordered a gorgeous new scarf that I’ll try to remember to post when it arrives. I love autumn in America! Speaking of fall, have you been enjoying the new television season? I recently subscribed to BritBox, and I am finding SO MANY shows I hadn’t seen before and love! That’s another “new bought” for me, along with a recent release from Nancy Atherton–I just cannot get enough Aunt Dimity and Reginald! If you’ve liked My FB Author Page keep an eye on there and/or on your FB notifications tomorrow so you won’t miss out on another fun giveaway I have planned. For now, I’ll keep the details a surprise, but there will be multiple winners for Kindle ebook copies of a title in a wonderful series by one of my favorite author friends. So watch for it on My FB Author Page. The Organized Mysteries are each written as standalone stories, so you don’t have to have read the first to enjoy the second one. This time around, Kate & Meg are hired to plan the cross-country move of an executive father and his children–until the organizing duo finds a dead body and realize they have to make sure the murder is solved before a young woman’s future is ruined. Things get more challenging when Kate realizes the murderer is keeping tabs on her. 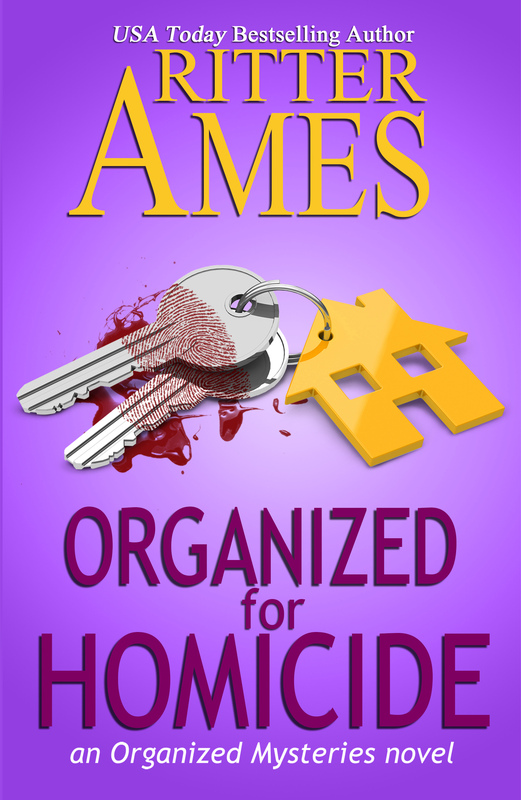 Like the other books in the series, Kate shares organizing tips and timesaving recipes. And for your convenience, here are the bookseller buy links if you’d like to purchase or want more information. ← Previous Previous post: Friday Giveaway–YAY!